The Panther Plaza Redesign: Seats and Shade project will transform the Middle School lunch area to provide more and better seating and shade for all of our students. Currently, students extend their picnic lunches to sitting on the ground, on wall structures, or wherever they can find space. Many of the steel picnic tables are unshaded, making them uncomfortable and undesirable in the warmer months. While there are grassy areas to either side of the main lunch plaza, for the most part, they are unused for lunch or any other school activities. Improvements to all three of these areas, with walkways, permanent seating, landscaping, and trees, would enable all students to sit and eat lunch more comfortably. They can also serve dual purposes as outdoor classrooms and gathering spaces, enhancing our academics and after school classes. The project is composed of three independent modules: the Garden, Panther Plaza, and the Amphitheater. Trees will, in all three areas, be used to provide shade. Compared to other options such as fabric shade structures, they are relatively inexpensive and also allow for a shorter design and permitting schedule, making it feasible to start construction this summer. With a successful Anython, and drawing from last year’s fundraising, construction of at least some, if not all, of the three modules can be completed in time for the beginning of the 2019-2020 school year. The Garden will be a series of raised concrete tree planters and concrete benches interspersed with mounded landscaping, all connected bay colored concrete walkways. Students can sit on the raised planter walls, on the benches, and on the mounded landscaping. The Panther Plaza will be transformed into a grid of raised brick tree planters, also serving as seating, interspersed with the school’s plentiful supply of steel picnic tables. The grid of trees will provide more shade for the picnic tables, making them more attractive on our many sunny days. Panther Plaza will still be usable for larger school assemblies in the area closer to the cafeteria. The Amphitheater takes advantage of the natural slope from the Library towards Panther Plaza and will be the sunniest of the three areas. It can also be used as an outdoor classroom and performance space. If you are doing a matching donation please download the Matching Gifts Form and turn it into the CCMS office marketed for Panther Partners. We’ll do the rest. Thank you twice. Middle School, and select it. Use the smile.amazon.com when making purchases and Panther Partners gets a donation! ​It takes just a few minutes to register or renew and it’s an easy way to raise money for our programs! 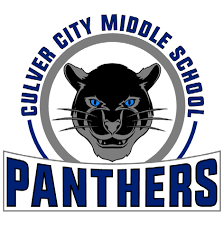 ​Panther Partners and CCMS need volunteers!